Input from 12 vdc batteries or 120 vac WARNING! We are not responsible for anything in these plans, you build at your own risk. Be careful, The high voltages used in these plans can kill you. This is not a free energy device, but can be used for powering many differant types of free energy devices. 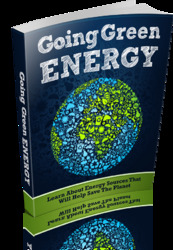 Great for many HV anti-gravity experiments as well, HV with high amps! FOR RESEARCH PURPOSES ONLY- BUILD AT YOUR OWN RISK! carefullyltage can kill you! So please be careful! We are not responsible for anything in these plans! You build at your own risk. Keep away from children. Use rubber gloves and a rubber lab coat and shoes. 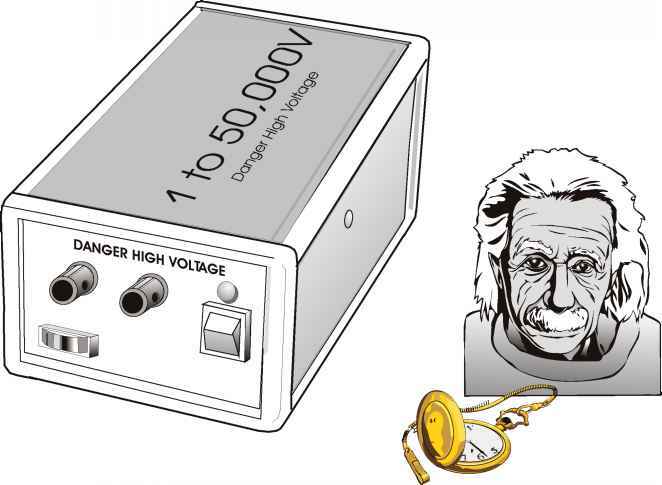 It only takes one mistake with high voltage. Alway's carefully discharge all capacitors into a HV Coil after usage. The plans provided here are to give you a basic idea of what we have developed in high voltage step up technology. 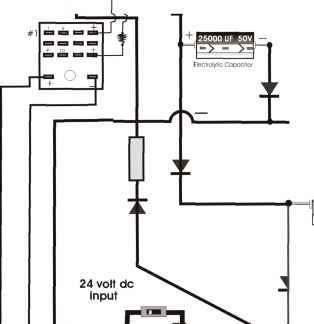 There are many ways to step up voltage, these are just a few ideas that we have came up with, With these plans it will be easy to step up high Voltage and keep most of the amperage input. HV with High amps is very much needed in HV research. To buy such power supplies would cost well over $2000. You will now need to make a molded epoxy /soft iron core, ( Patent Pending /( Creative Science & Research). You will need High strength 2 ton all purpose epoxy made by Devcon company. You can buy this at most hardware stores. Now find as many old worn out wall transformers or HV Microwave transformers as you can find. remove the coil wire and cut the iron core into small pieces about 1" to 3". It is best to take apart each laminate piece of iron first, (if you can get them apart ). You will need an electric grinder with a fine wheel. You will be grinding down each small piece, but first you will need to make a catcher, Find a cardboard box about 10" x 12" line the inside with aluminum foil 2 times, get a small piece of 5" x 6" sheet metal and tape this right under where the grinding wheel will be throwing the hot sparks from the metal. If you do not use sheet metal the sparks will burn through the aluminum, Now use duct Tape to tape the box to the underside of the grinder. ( Best to use a grinder that is on a metal stand.) Now begin grinding down the soft iron and catching it into the box. Using a pair of pliers to hold each piece. Get as much as you can for now and for future use. Now take the small soft iron particles and place the iron fillings inside of the PVC 2" pipe, leave about 1/4" space from the top. Now mix about a 2" diameter space by 1/4 tall of epoxy, mix it very well. Once you are done, pour out the iron fillings from the 2" pipe bobbin, onto a plastic or hard card board piece about 12" x 12" ( to keep epoxy from getting on your table top. ) Steel or plastic surface is best! Now begin adding and mixing the epoxy with the iron fillings a small amount at a time, you do not want to add to much epoxy, so it's going to be a little hard to mix at first, you want the end mix to be pasty not runny. 199 strands = 120 vac x 23,880 vac output! Wow! You can make Iron core in different strengths by simply adding more iron and making it pastier or by adding less iron and more epoxy to make it lighter and weaker. Using less can sometimes be better, because if you mix it right the core becomes very high efficient meaning the core will be lighter than a solid commercial type core would but be the same output strength! Why is this? Well, each piece of iron ( If mixed and prepared correctly ,) becomes a small magnet and there fore they all line up together like many thousands of small magnets stacked one on top of the other making the core stronger! For even higher efficiencies, construct another molded iron core to the outside of the coil, just like you see in regular transformers. Or you can use an existing transformer iron core from a HV transformer or a small wall transformer. Simply remove the bottom of core with a hack saw, then replace your with new multi-strand bobbin, replace the bottom of the core and glue with 50% epoxy and 50% iron fillings or powder. Clear epoxy the whole thing and let it sit for 24 hrs.